Say “Hail NO” to the Wrong Repair! Colorado is well documented as one of the three states (Wyoming and Nebraska making up the other two) known as “Hail Alley”. According to the National Oceanic and Atmospheric Administration (NOAA), these states average seven to nine hail days per year. 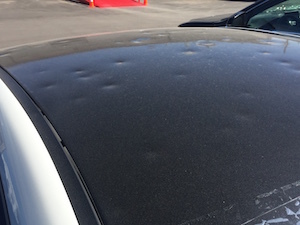 * Because of this designation, it’s understandable that there are associated industries that stand ready to process the claims and repair the damage caused by hail storms. 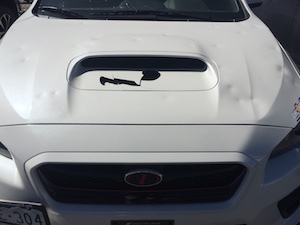 In light of the most recent hail storm here in Denver, the number of storm chasers and (surprisingly) well-known dealerships who have popped up and started advertising that they are in the hail business is not only surprising – but unbelievably dangerous to the consumer. The problem with storm chasers and the tents they put up right after a storm is this: they exist only to get as much money from consumers as fast as they can. Tent conditions on an abandoned street corner come nowhere near being enough to handle the complexity of many hail cases. The lighting is sub-par. They may or may not have the correct tools to do the job correctly. And God forbid, if something goes wrong or was improperly dis- or reassembled – where will they be to make a claim? They take down their tents and go back to their day jobs in other states. The consumer is left holding the bag of a bad repair. 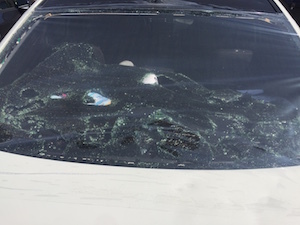 The problem with most dealerships – simply put – is this: they are NOT in the hail business. Instead, they partner with the above-mentioned storm chasers and put up a temporary station (maybe even a tent) to take advantage of the swell of insurance claim money that floods the market. If the damage requires a paint booth, more than a buff or in the worst cases a completely new roof – they do not have the correct equipment or skilled technicians to handle that work. Dealerships are in the car SALES business… an important fact to keep in mind. And unfortunately, not all body shops are created equal either. Many treat PDR and hail repair as a seasonal side. They partner with insurance companies to move cars through as fast as possible and preying upon consumers who do not know that they’re being steered to the least expensive, most profitable solution for the INSURANCE company – not the insured. 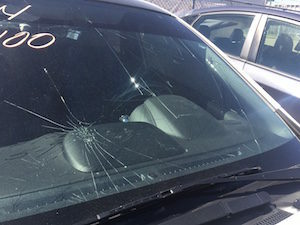 Here at Nylund’s Collision Center, we have a FULL-TIME, established hail and paintless dent repair (PDR) DEPARTMENT with a consistent staff – and have for several years. From start to finish, we are – and always have been – in the hail repair business. You may rest assured that your vehicle will be repaired properly, and that we have ALL the right tools and skilled technicians to handle every issue that might come up. 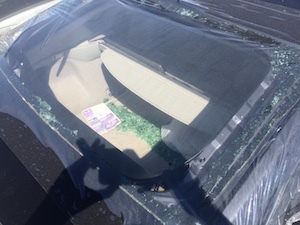 We only install the right glass for your vehicle. We only repair vehicles one way: the right way. At Nylund’s Collision Center, if it’s not perfect… it’s not leaving.